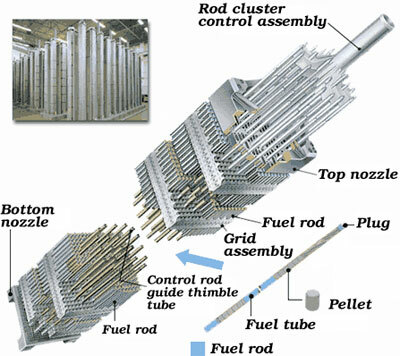 The Fukushima Daiichi plant has seven pools dedicated to spent fuel rods. These are located at the top of six reactor buildings – or were until explosions and fires ravaged the plant. On the ground level there is a common pool in a separate building that was critically damaged by the tsunami. Each reactor building pool holds 3,450 fuel rod assemblies and the common pool holds 6,291 fuel rod assemblies. Each assembly holds sixty-three fuel rods. In short, the Fukushima Daiichi plant contains over 600,000 spent fuel rods – a massive amount of radiation that will soon be released into the atmosphere. It should be obvious by now that the authorities in Japan are lying about the effort to contain the situation in order to avoid panic. It is highly likely there are no workers on the site attempting to contain the disaster. Earlier today, a report was issued indicating that over 70% of these spent fuel rods are now damaged – in other words, they are emitting radiation or will soon. It cannot be stressed enough that the situation at Fukushima represents the greatest environmental disaster in the history of humanity, far more dangerous that Chernobyl. That’s bad news, because plutonium scattered into the atmosphere is even more dangerous that the combustion products of rods without plutonium. How did you squander the new year?